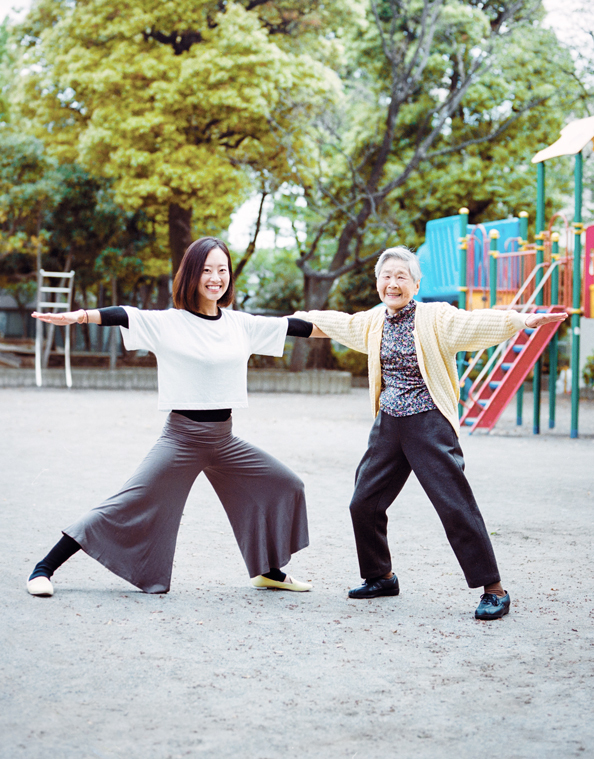 Fumiko-san, born in 1925, will turn 90 this year and recently took up ballet yoga, thanks to guidance from Nodoka-san. ‘Though I was really reluctant to exercise, I felt I had to…but when I tried yoga, I actually found the movement fun’. I choose an elegant pose based on ‘Swan Lake’ and Nodoka-san then helps me straighten my back. What’s more, on days when I lack energy, Nodoka-san always says ’You seem down, are you OK?’ with mental care I can rely on. It’s also where Nodoka-san gets her energy from.